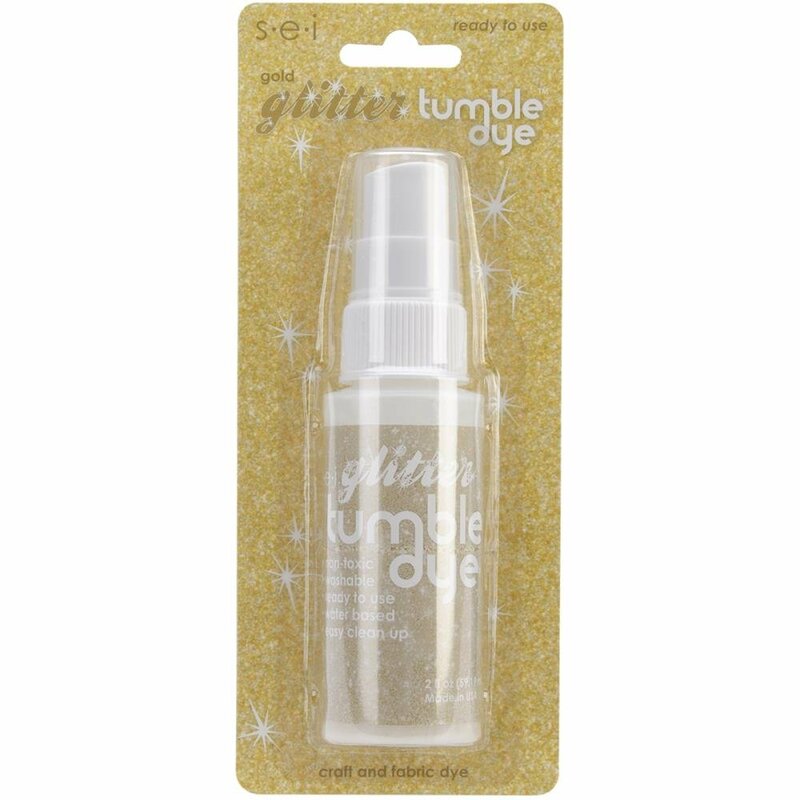 SEI-Tumble Dye Craft And Fabric Glitter Spray. Tumble Dye is an easy and permanent dye for use on fabrics, ribbon, lace, trims, silks, dried flowers, baskets, wood, paper and more. Ready to use, water based and washable. This package contains one 2fl oz spray bottle of gold glitter spray. Made in USA.